How many flipbooks can you make an hour? I’d like you to know how the actual production process works because the actual waiting time can vary. If you have a Premium Studio Package and the output is approximately one flipbook per minute, one might think that their total waiting time is about one minute. This may not always be the case. To simplify the math, this example will assume we are using the Premium Studio Package, which has a three-person crew and can output about one flipbook per minute. 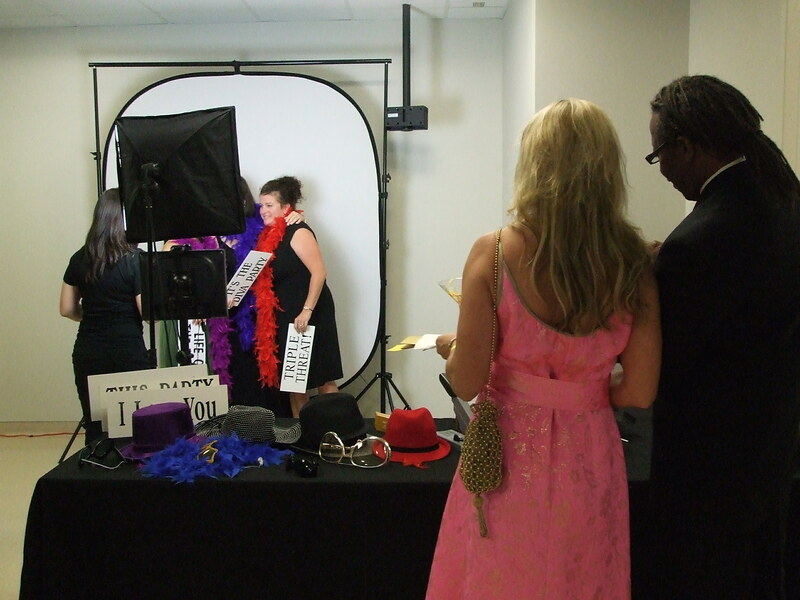 It takes about two minutes for our guests to go through the process of recording their flipbook. Once it is recorded and the guests start waiting for their flipbooks, the computer sends the photos to the printer, which has the capacity to print out four flipbooks (20 pages) per minute. The five pages (with 12 photos per page) then go to the cutting station, where two sets of cuts are made, separating the five full sheets into 60 flipbook pages. Then the 60 finished flipbooks pages go to the stapler station, where the flipbook gets a cover wrapped around the 60 pages and a staple to bind it all together. With our Premium Studio package it takes about one minute to run the five printed pages through the cutter and the stapler. Thus, if two people get their photos recorded, it will take about two minutes to get the two finished books, and thus we get our average of one book per minute (figuring on two books for two people per “sitting” and a three person crew). Sometimes the waiting time can get much longer, as it is explained below. Can we have more than two people in the flipbook? The answer is yes, but within certain limits. As it was explained above, with a crew of three (Premium Studio package) we can make about one flipbook per minute. Thus, after the photo session (which takes about two minutes), the waiting time once we start the production process is about two minutes to make two flipbooks. If, however, there are four people in the photo session (that takes two minutes), it still takes one minute to make each flipbook. So now the next photo sitting starts, but we’re still making the extra two flipbooks from the previous sitting. Now the next group will have to wait an additional two minutes for their flipbooks. If that group of four is followed by another set of four people, this next group will have to wait an additional four minutes to their already four-minute wait, for a total of eight minutes. If we get lots of three and four person sittings, you can see that we eventually will get very backed up because the recording time is shorter than the production time. When this waiting time starts getting excessive, we have to stop the photography to let the production end catch up. With our Premium Studio Package crew of three we can still crank out a book per minute, but the wait time will get longer as the groups exceed two persons. Either way, with large groups or groups of two, you will still end up with about 60 flipbooks per hour; the only difference is the waiting time will be longer if you exceed groups of two. Regardless of the Studio Package that you choose, my staff is pretty well trained to help regulate the flow of the sittings so we don’t get too backed up. If we are backed up and patrons continue to ask for groups of three or more, we often suggest that we can only print out two books per sitting until we can get caught up. We sometimes also have to stop recording new flipbooks before the end of our engagement time in order to finish the cutting and assembly of the books that have been recorded and printed. We cannot stay after our contracted time cutting and assembling flipbooks. When people see the studio light get shut off prior to our finishing time, they say “hey, why are you stopping early! ?” We aren’t stopping early; we’re just catching up on the production end of the process. What if we need a higher output per hour for a larger event? 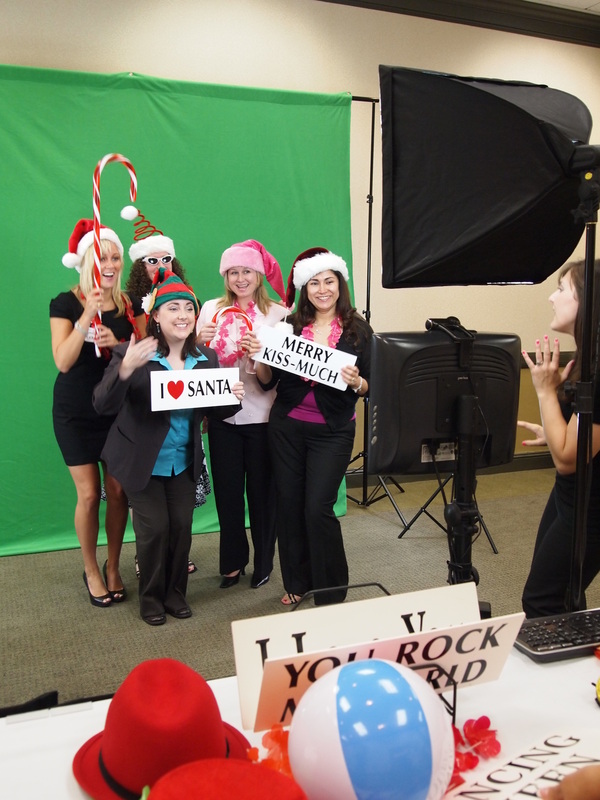 We have Studio Packages for just about any size of event. If the Basic Studio Package output of about 45 flipbooks is not enough, you can book the Premium Studio Package with its crew of three and output of approximately 60 flipbooks per hour. If you still need a higher output, you can book our Premium Studio Plus Package, which has an additional paper cutter and operator. This package can output approximately 90 flipbooks per hour. Our largest studio package is the Double Studio Package, which consists of two Premium Studio packages. With this package we can output about 120 flipbooks per hour. 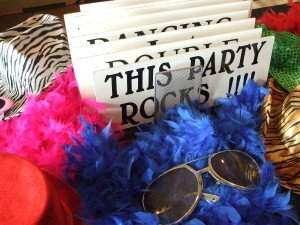 We often book this package for large corporate events and high school proms. Can our guests make more than one flipbook? We live to make flipbooks! Your guests are welcome to make as many flipbooks as they like, as long as they are giving everyone else a chance to make one, too. We’ve had some of our younger patrons walk away at the end of the night with as many as two-dozen flipbooks! Please note that we often try to monitor situations like this to ensure that everyone has a chance to make at least one flipbook and that no one is monopolizing our service at the expense of others. For example, let’s say we are working a party with our Premium Studio Package and our output is about one flipbook per minute and we are booked for three hours. Our output for the event would be about 180 flipbooks. Then lets say that at the end of the night, one child walks away with 30 flipbooks because he wanted to be in everyone’s flipbook movie. It would have taken us 30 minutes just to make his flipbook copies, tying up about 16% of our total booking! When we see this happening, we will typically talk to our client about restricting individuals like this, as they monopolize our services and keep others from getting a chance to make flipbooks. Can I get a custom flipbook cover? Yes! We create each cover in collaboration with our clients to ensure they have a unique and creative cover for their flipbooks. We can also work with you party planner’s designer if you wish for them to create your covers. 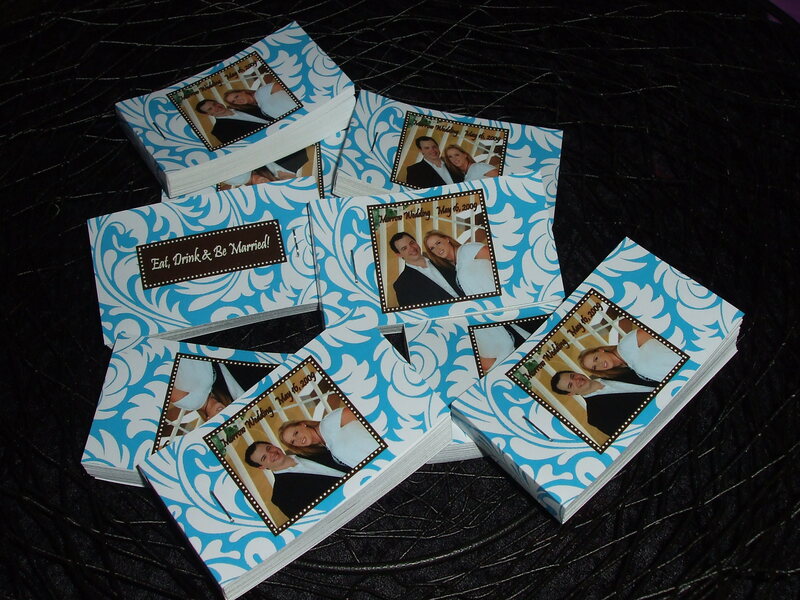 We do not charge extra for the design of your custom flipbook covers; it is all part of our package. How many hours should I book and is there a minimum booking time? It is difficult to say how many hours you should book, as every event is different. Most of our clients book us three to four hours. If the party is really small (under 50 people) we usually go for two hours. It all depends on the number of guests you hare expecting, how many flipbooks you want them to have, and how long your event is. We have a minimum booking time of two hours with two exceptions: during weekends from April through June and from October through December we have a three-hour minimum. We do not have a maximum limit of hours you can book us. For some trade shows we have booked out for eight hours or more. It is also worth noting that we have special pricing for events over four hours in length. The size of your event should dictate the package that you book. 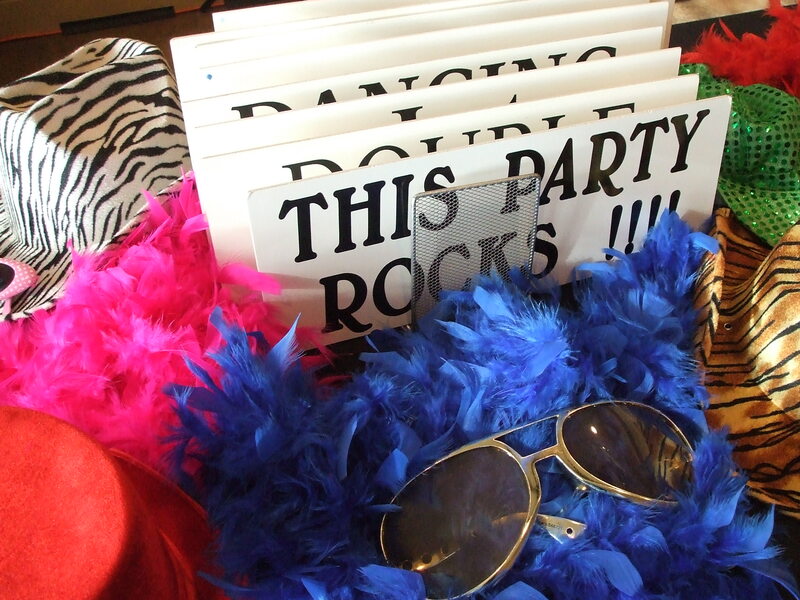 If your party will be under 100 people, the Basic Studio Package will be about right for you. In three hours we can make enough flipbooks to ensure that everyone can make at least one flipbook and about half of the guests can make two. If you are having 180 guests and want everyone to have at least one flipbook, then you will want to book the Premium Studio Package; simply do the math: 180 people divided by 60 flipbooks equals 3 hours. If the party is for teenagers, then pad this number a bit as they typically will want to make more than one book. Most of my Bat Mitzvahs and Bat Mitzvahs are three to four hours in duration and use the Premium Studio Package. For larger events of 200+ guests, like high school proms or corporate events, we recommend the Premier Studio Plus Package or the Double Package. It all depends on how large the event is, how many hours you want to book and how many flipbooks you want each guest to have. I’ll also add this note regarding the number of flipbooks per guest. 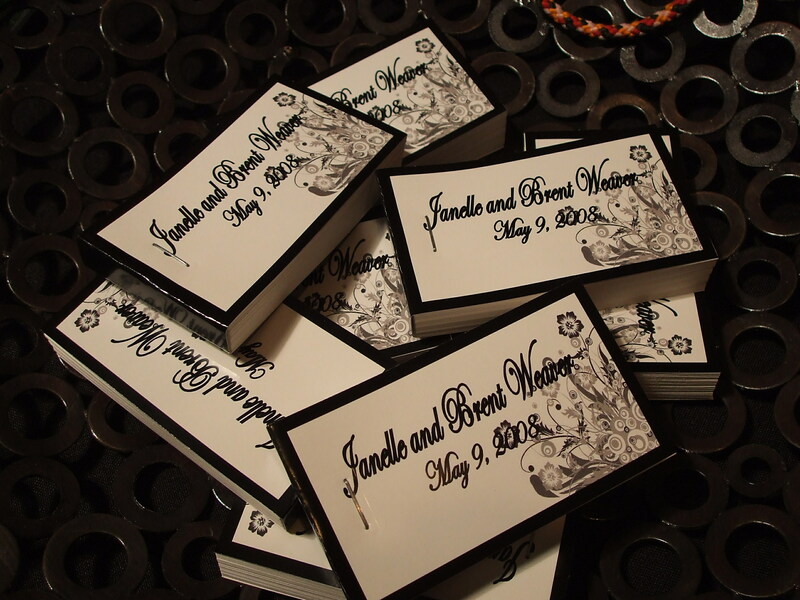 At most weddings and corporate events (where spouses are involved), most sittings are couples and they only want one flipbook per couple. Thus if you have a holiday office party (or wedding) with 120 guests, you can probably get by with the Basic Studio Package for three hours. On the other hand, if you are celebrating a Bar Mitzvah or Bat Mitzvah with 120 teens, they each will want multiple flipbooks and you are best off booking the Premium Studio Package for four hours. Do you travel outside the Twin Cities area? Yes! We’ve been to Green Bay, Wisconsin, South Sioux Falls, Nebraska and Fargo, North Dakota. We’ve also been all over the Twin Cities metro area. We do charge if your event is more than 30 miles outside the Twin Cities area. Since we are located near Forest Lake, north of the Twin Cities, this is our measuring point for mileage for distances exceeding 30 miles. For travel outside 30 miles from Forest Lake, we bill mileage at 55¢ per mile per studio package* round trip, as well as meals and lodging expenses. We also bill $50 per hour per studio package* for travel time to and from the venue. We bill for our actual expenses rather than charging a per diem for each crewmember, as this will save you money. It may be harder to budget, but it will be much cheaper than a per diem. * The Double Studio Package would count as two studio packages. What if we need you on site several hours prior to or after the event? If you need us to set up more than one hour prior to your event and just wait until our start time, we bill $50 per hour per studio package* for this waiting time. My staff is on the clock when we begin our travel and while we are standing by waiting to start production. I have to pass this expense on to my customers. Sometimes we finish at an event and the client wants us to hold our load out an hour or two until the entire party ends. In cases where we have to wait for our load out we bill $50 per hour per studio package* for this holding time. What do you charge and what are your payment terms? Please call us for a rate quote. We often run specials from various showcases so we do not like to post our rates on line. We bill by the hour and our hourly rate includes all labor, material and props. 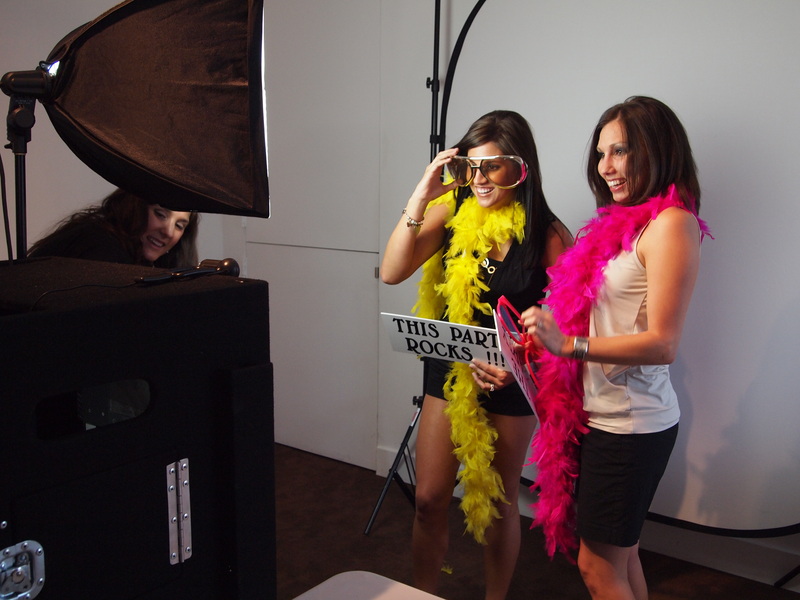 Our rates are in line with the premium photo booth companies. We also charge the appropriate State and local taxes just like any other business. We need to have the actual physical address of your venue before we can quote the taxes, as different municipalities have different tax rates and tax add-ons. We do charge extra for waiting time and/or travel time and travel expenses outside the Twin Cites area; see the previous two questions for these rates. If you should decide to book us, we require a deposit of 25% of the booking fee at the time of the contract and the balance due at the beginning of the event. At this time we do not take credit cards but we are looking into this. We’re torn between flipbooks and a photo booth. You are a bit more expensive than the photo booth. Why should we go with flipbooks? We’re really not an apples to apples comparison to photo booths. With a photo booth you get three or four color photos. Period. With flipbooks, you get 60 color photos of animated fun! At my first corporate party I had a photo booth next to me that was being totally ignored by the patrons once they had their flipbooks. 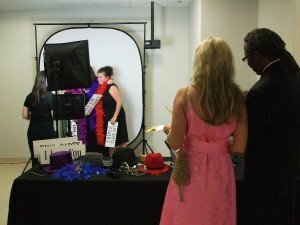 Finally, the party planner started literally grabbing patrons by the arm after they got their flipbook and then escorted them over to the photo booth! After an animated flipbook, no one was interested in a strip of four photos! 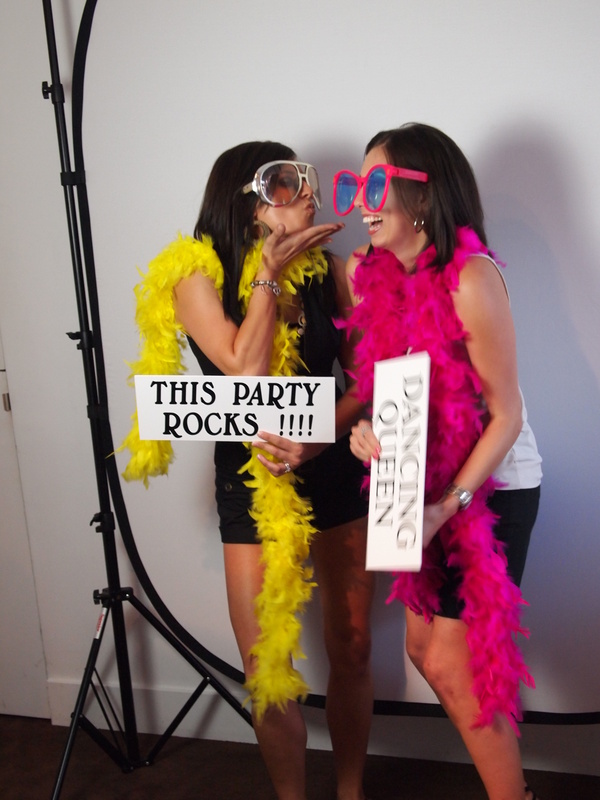 We may be a bit more expensive than the DJ photo booths, but we’re pretty much in line with the top end photo booths. Also keep in mind that we have several times the labor, 20 times the ink and about 25 times the paper than a photo booth. More labor and materials means a bit higher price, but we are pretty sure your party guests will agree that flipbooks are way more cool than a strip of three or four still photos! The photo booth people say that they can give us a “Memory Book” at the end of the event with all the photos recorded from the event. Can you do this type of thing, too? Yes! We can offer, for a modest fee, a Memory CD of all of the event’s flipbook movies, delivered on a CD in the wmv electronic format. These flipbook movies can then be shared electronically via email or other social media and viewed as wmv movie files. What does your fee cover and do we need to provide anything for the flipbook crew? Our standard fee also does not include the Memory CD explained in the previous question. What do you need in terms of space or utilities? We need a floor space of about ten feet by ten feet per flipbook studio. We also need two electrical outlets on two separate 20-amp circuits per flipbook studio. Between our computer, card cutter, light and printer we draw a lot of electrical power and one 20-amp circuit is not enough. Also, if the event is out doors, we require a walled tent or covering during daylight or twilight hours or if threatening weather exists. We will also need access to two 20-amp circuits with standard 110 voltage outlets. In some cases this might require a generator. The client would be responsible for renting and/or providing a generator or electrical hook ups for Flipbook Fun’s use. I was shooting a corporate video in Dallas, Texas in 2009 for a national corporate sales meeting when I saw the first flipbook booth in the entertainment area. Everyone was having a great time and the flipbooks were the coolest thing I had seen in a long time! I asked the owners on the spot if they were selling franchises and they said as a matter of fact, they were! I was one of the first franchises purchased and the first flipbook franchise in the Midwest. 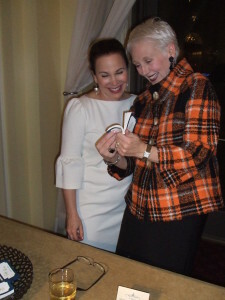 Flipbook Fun, LLC is family owned and operated, so you will typically be interacting directly with me or one of my close and trusted friends. 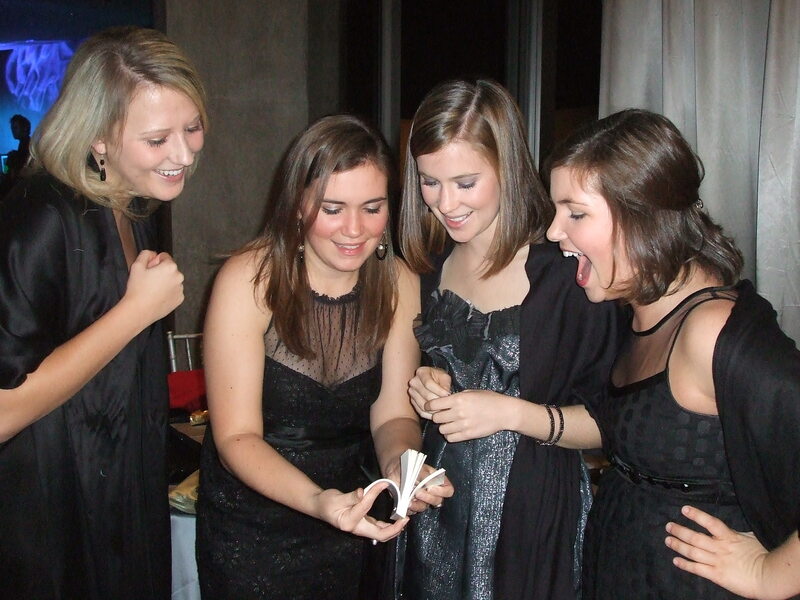 All we do is flipbooks and we do them really well! Please feel free to call me if you have any more questions about flipbooks for your next party or event! My number is 651-208-4388.